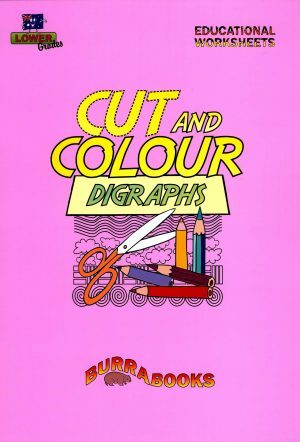 Complete Digraphs provides a comprehensive programme to introduce and consolidate digraphs and other more difficult phonemes. * Each digraph has up to four pages of interesting activities that will provide practise in the visual, oral and aural recognition of these sound groups. or, sion, ci, ar, gu, gue, ign. * Revision pages are also included. Each digraph has up to four pages of interesting activities that will provide practise in the visual, oral and aural recognition of these sound groups. silent h, silent b, silent k, silent t, silent w, silent 1, ou, ore, igh, ui, oar, ue, ou, oe, eigh, ea, au, c, ei, sc, ture, ere, our, gh, ine, ar, y, tion, or, sion, ci, ar, gu, gue, ign. Revision pages are also included.